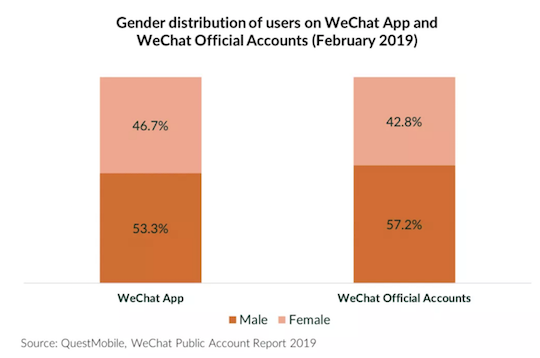 Research company QuestMobile released a new report about WeChat Official Accounts in April 2019. The report sheds some light on users interests and their content consumption behavior. 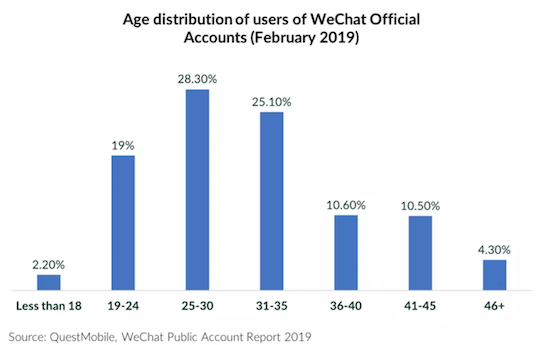 Age distribution is relatively balanced, with 49.5% of WeChat Official Accounts younger than 30 years old, and 50.5% being 31 years old or older. The proportion of WeChat OA followers older than 46 years old is however only 4.3%. WeChat influencer marketing might therefore not be the best strategy to reach out to older users. 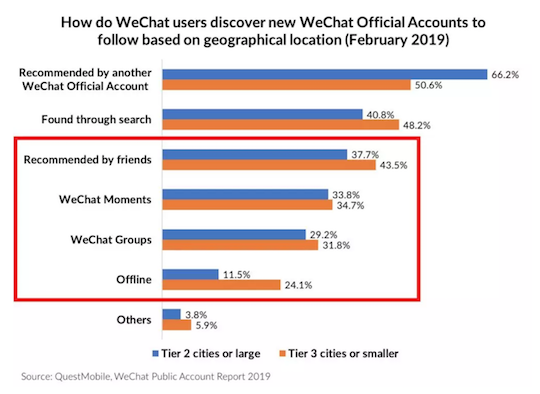 The geographical distribution of WeChat Official Account followers is also relatively balanced, with 49.8% of followers living in Tier 3 cities or smaller cities. The larger cities are however slightly over-represented, with 28.6% of followers living in Tier 1 or new Tier 1 cities. 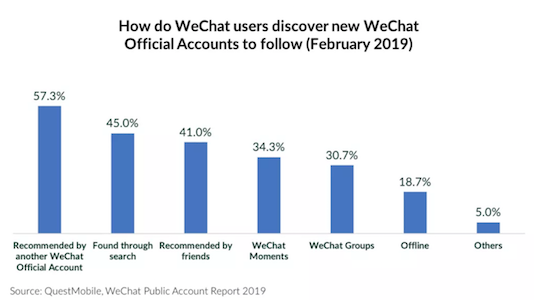 Users discover new accounts mainly through recommendations from existing accounts they are following, or via organic searches on WeChat. 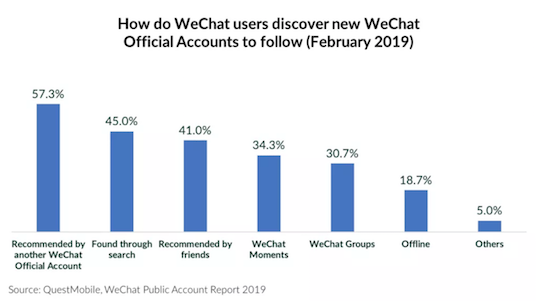 This trend highlights the importance of collaboration with other WeChat Official Accounts in the same industry, especially for brand new accounts trying to get traction. Cross-promotion can be particularly useful in the B2B sector, where display advertising or traditional influencer marketing might not be efficient. Finding other B2B accounts with whom to cross-promote via gifts or knowledge-sharing can be a perfect way to grow a quality audience. Discovery mechanisms can also vary based on cities. Users in larger cities are more likely to leverage existing accounts for recommendations. However, users in Tier 3 cities or smaller are more likely to discover accounts via friend recommendations (direct recommendation, groups or moments) or via offline conversion.